Town & Country Overhead Doors, Inc. has roots that reach all the way back to the beginning of the overhead door industry, straight to the inventor of the modern garage door! We’re the authority when it comes to everything from installations and repairs, to picking the right materials and door style. Contact our service-oriented professionals today to get started! Our founder, C. G. Johnson, literally invented the overhead door and electric door opener! We’ve been around the since the very beginning! Since 1984, we’ve proudly been a family-owned and -operated company, serving residential and commercial customers within our local community. We maintain an excellent A-plus rating with the Better Business Bureau (BBB). We’re also Fire Door Certified. We bring our customers only the best name brands, from a nationwide network of more than 450 authorized distributors. Our available door options come in numerous versatile styles, including aluminum, fiberglass, steel, vinyl, wind load and wood, among others. In the market for a brand-new overhead door? Need an expert to troubleshoot and repair your existing door? Having issues with your opener? No matter the problem, no matter the door, Town & Country Overhead Doors, Inc. is ready to help. We’ve been in business since 1984, with roots that stretch even further back to the birth of the industry. We know our stuff and take every job seriously. 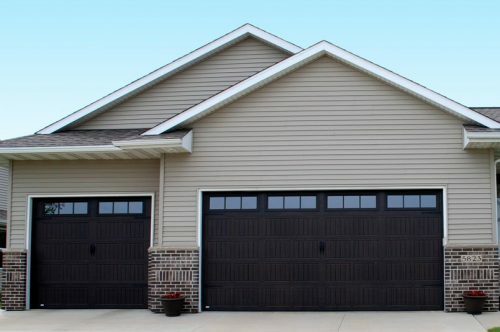 Whether we’re helping homeowners peruse new residential garage doors in Putnam County, TN or working with business owners to repair their commercial overhead doors, we do what it takes to provide solutions and earn the trust of our customers. Our emphasis is on making sure you get exactly what you need from us. Looking for advice on the right type of material for your new garage door? Need someone to deliver routine maintenance to your commercial garage doors in Putnam County, TN? Looking for a fast, affordable fix for your garage door opener issues? Call us for all of this and more! We provide service with a smile and solutions that set the standard for excellence. Our crews are backed by more than 30 years of experience and our business has roots that stretch back to the birth of the industry. When you want to talk to a garage door company that knows its stuff, we’re just a phone call away. With a national authorized network of dealers, we source only the very best garage door brands and products for our customers. Contact us today to schedule a consultation.